You know what it’s like to be in pain, to be alone. All those emotions and feelings can be so overwhelming and exhausting. You may often be prone to insecurity, self-pity, feeling tired and confused. Like you are falling in a state of chaos and fear. You feel and absorb not only other people’s emotions, but their physical symptoms, their pain. While talking to others or in a group, while thinking about life, you experience anxiousness, panic attacks, depression… But don’t worry, there’s a name for it - you are an empath: highly sensitive and intuitive. That’s something truly wonderful and scary. You seek for answers that only you can obtain. This audiobook will guide you. In order to learn to ground yourself, you need a guide to acknowledge the deepest secrets of being an empath. Precisely what an empath is and what type of empath you are. What impact empathy has on your life. How to grow and protect your energy. And you know what? Calm is a superpower. Healing is an inside job and before healing others, heal yourself first. No more blocking of positive energies. No more hesitation and anxiety. With this book you can step out of your habitual role and start a journey. Feel the growth of your inner energy and be a spiritual healer. Empath Healing explains what it means to be an empath including different types of empaths. There are several. There are likely many people that are empaths without even knowing it. It is a gift but if not careful can become a burden. When you're an empath you are susceptible to other peoples energies whether it's good or bad and it's good to know how to protect yourself. This audiobook will help you cope with and protect your own well being. It really is a survival guide. When you couple empath abilities with wisdom, experiences, and lifestyle then you need to know how to detach and re-energize. This book is your toolbox. This was a well-written book by J.P. Edwin and excellently narrated by Lizzie Richards. It was a great combination of author and reader. Great book! I have a better understanding now. I am definitely one without a doubt. This is an awesome guide for any empath. With this book you'll learn what exactly is an empath, the different types of empaths and why empaths do what we do. It helped me to look back on my younger years and understand why I felt and dealt with situations the way I did. 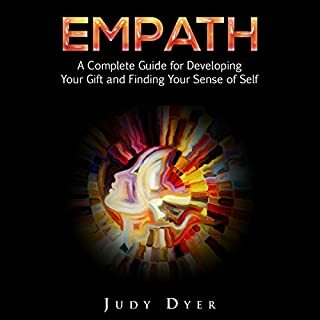 It's a wonderful guide that truly helped me to understand what being an empath means. I've known I was an empath for many years but hadn't realized just what sort of impact it had on my life. If you are an empath or think you might be one then I highly suggest you get this book and learn more about it. I'm very glad I asked for this book and will suggest it to my friends who I feel would benefit from it. The narration was well done. Lizzie Richards has a nice calm voice that is pleasant to listen to. This book has helped me a lot in trying to deal with the negative impact of people around me. thank you. Every word in this book is true and gives empathy the best advice in pointing them in the right direction. This book has lots of interesting information about Empath healing. I just love this book. 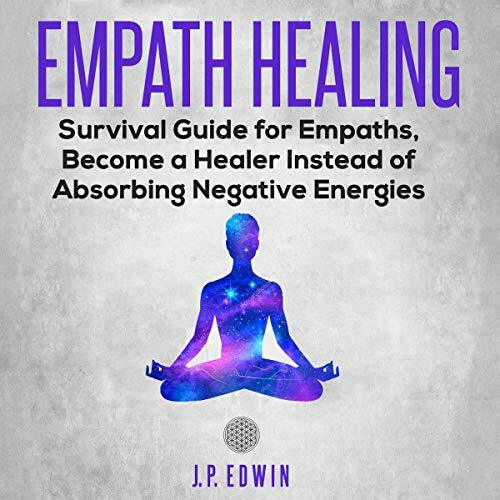 It's really super Survival Guide for Empaths. This book is very enlightening, I feel so much better just reading it my whole !it's i felt different. Great read for anyone wanting more information about being an empath and how to navigate the world. I definitely recommend. This is a great start to understanding an empath but a little basic, which is great if you are new to the idea. However, I wanted more in depth knowledge about how to cope and manage others energy. Highly recommended! Author did a great Job. Lot of vital info . The content of this book is very convincing. 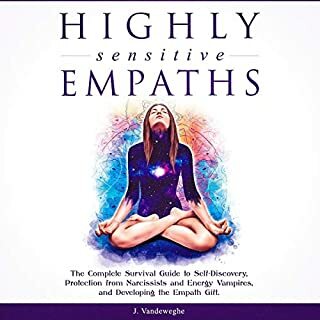 Great job to the author for helping empaths to survive and be one of a kind.This book definitely opened my eyes up and educated me in regards to how to protect my energy. I absolutely loved reading this book and have shared the book with friends. The overall great resource I appreciate this book. This is an interesting and informative book. I just wish there was more detail. I was recently told that i'm associate empath. I identified with the descriptions given here. The book is great for everyone that haven’t put a name to their gift and want to know more about it. Now I know why I become overwhelmed in large crowds and become overwhelmed by emotions sometimes.Great general information for anyone on their Empath journey: from people just figuring out this is what they are, to those who have known.Good reminders of basic things in life for an Empath.Nice tricks and techniques for self protection. Informative and explains things well. Good daily practice tips. Thank you for the good read and information. Enjoyed the book. Everv word in this book is true and gives empathy the best advice in pointing them in the right direction. Thank you. I truly believe this book will help him to get used to his power and use it to get the freedom. This book gives reason to ones behavior, processing, actions, thinking, and gives knowledge that they are not alone in their own understandings of the world. wow! this is an really excellent book. well written and easy to understand. I love it. This straightforward and simple.Worth the read! I personally related to so much. It is reassuring to know that others feel similarly. I found the practices in the book interesting and would have liked more. This manual is comprised on imperative focuses which are really obligatory to comprehend and valuable tips. This manual will encourage you how to standardize your life as an empath and substantially more.Worth the read! An easy read with basic introductory information on empath. Great tips on self care as well. Definitely worth reading if you suspect you have empathic abilities.I’ll recommend for those who believe they were gifted. The book is quick and explains everything about it. I exactly thought it was about something else but enjoyed read it. Very insightful and applicable to current lifestyles of today's empaths. 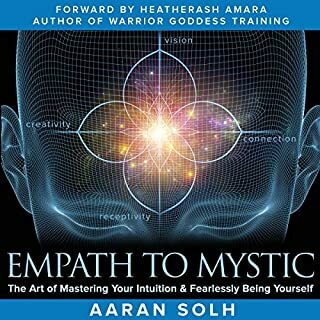 Highly encourage anyone to take a read even if you are not an empath but are open minded enough to learn and hopefully begin to understand such a person.This book contains a good explanation how to be empath. learned a lot of useful strategies in this book and it has let me to read about something that is a gift in my life if i protect myself. Its an ok book, but lacking in detail. The description gives the impression there will be exercises and guidance. It is a very informative book. Step by step guides easy to understand. One thing that remains constant is that those with these abilities came by them naturally and have the ability to improve upon them with practice. The overall great resource I appreciate this book. 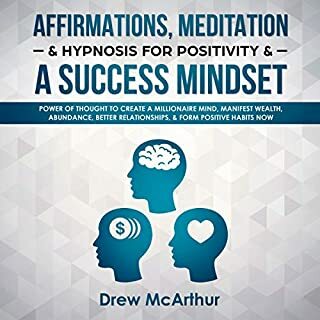 This book is extremely useful for me and this book contains such a significant number of vital solid outings and I am such a great amount of eager to pursue this book leads and prompt and instructions.Informative book. It could have been longer. Got to all the points needed. I’d recommend it. Enjoyed it very much. Great read for anyone wanting more information about being an empath and how to navigate the world. I definitely recommend.Great notices This book adds more to my toolbox which I'm excited about. 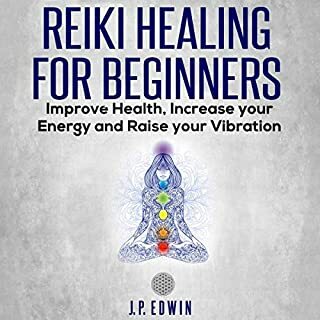 Excellent beginning book for becoming aware of yourself! I’ll recommend for those who believe they were gifted. The book is quick and explains everything about it. 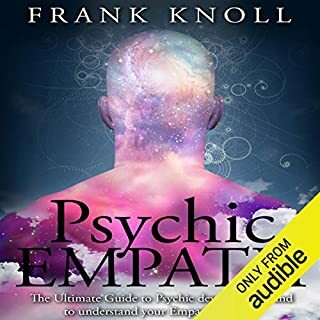 I exactly thought it was about something else but enjoyed read it.I loved this book, and highly recommend it to anyone who struggles with balance as an empath , or anyone who is in a role of supporting them. Thank you. This is an interesting and informative book. I just wish there was more detail. I was recently told that I am an empath. I was not sure what that mean. I identified with the descriptions given here. This book adds more to my apparatus stash which I'm amped up for.I profoundly suggest this book. I am just learning about what it means to be an empath and how much of my life has been negatively impacted by being one. Could use some more tips on different ways to ground and more ways to hone in to specific abilities, but it’s geeat place to start.